You've likely heard of edible underwear, but this Brief Jerky by Carley Jacobson is a DIY project for those who prefer meatier fare. The dehydrated beef panels are stitched together with Slim Jims and, as Jacobson says, are "so easy to make, a caveman could do it." For another carnivorous Valentine's Day present, consider these bacon roses. 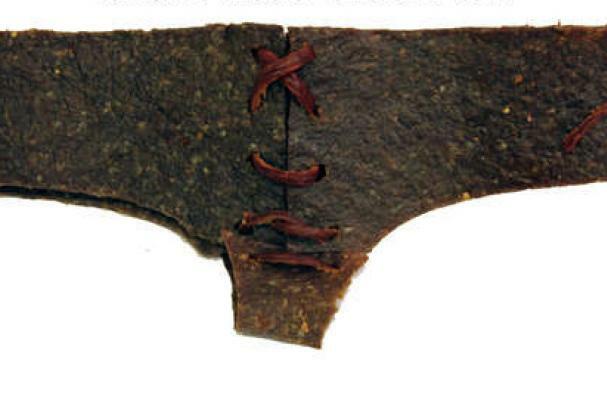 Would you ever make or wear Brief Jerky?